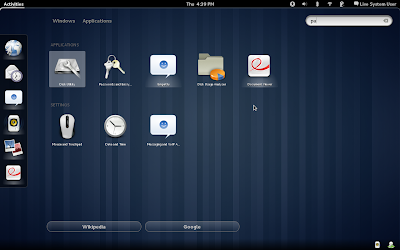 The next generation modern desktop environment Gnome 3 has been released that brings a totally revamped user interface and many new features. Many applications in Gnome 3 have updated and there is a new redesigned system settings panel. The new shiny interface for Gnome 3 - Gnome Shell is main highlight of the release. The design of Gnome Shell aims to be user friendly and at the same time productive. 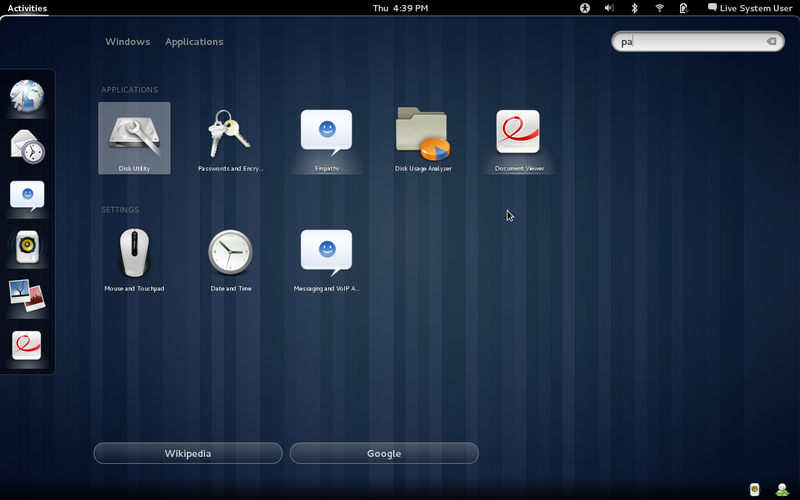 Big icons, dynamic work-spaces, dash, sidebar etc, also make Gnome Shell appropriate for touch devices too. Congratulations to entire Gnome 3 development team!!! You can watch many more videos on Gnome Youtube Channel for quick introduction to the new features in Gnome 3.